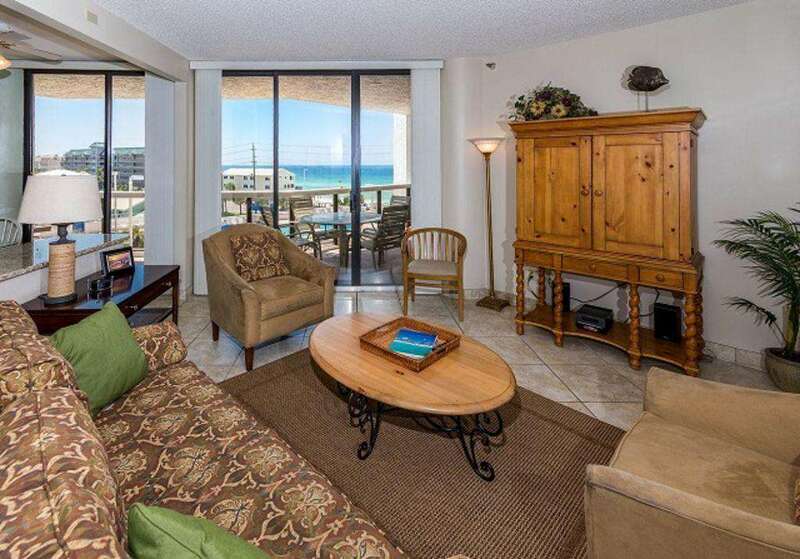 Gorgeous Gulf views from the living room! 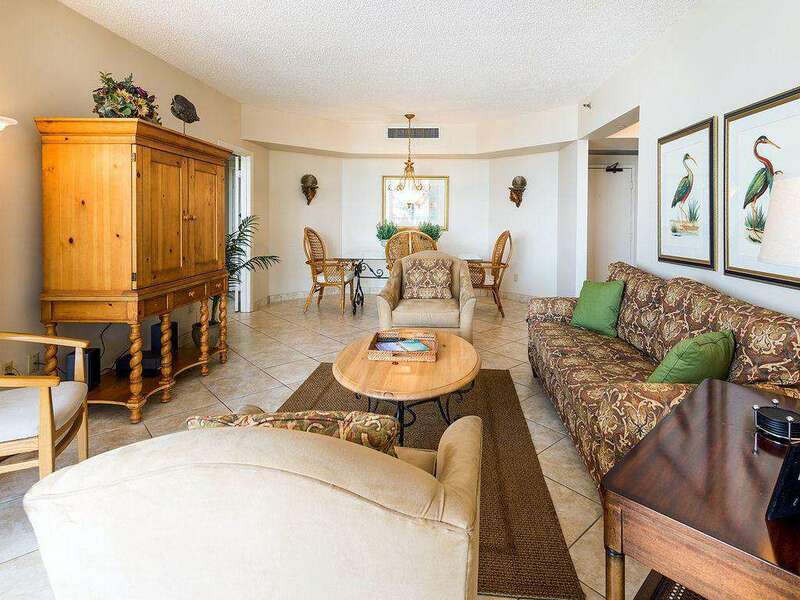 The open living room and dining room are great for family time! This updated kitchen is beautiful! 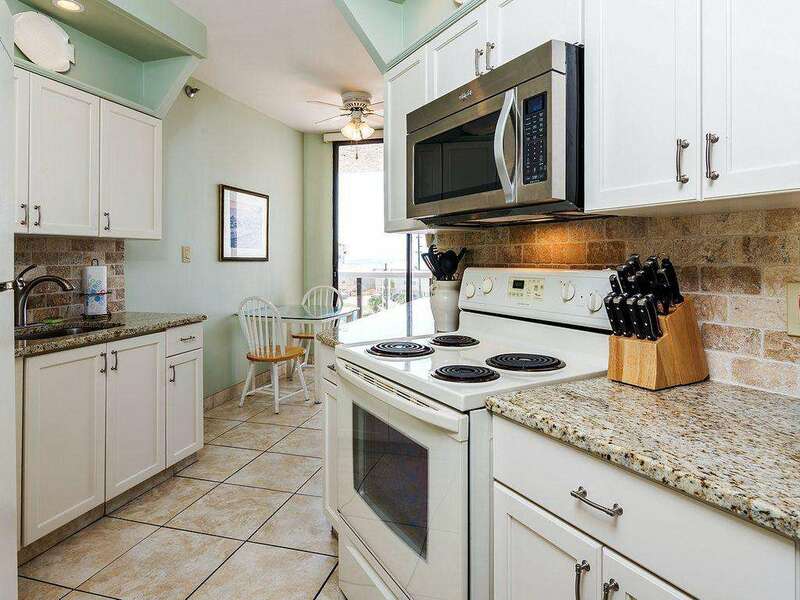 This wonderful kitchen is bright and open to the beautiful views of the Gulf! The kitchen bar looks out onto the living room. 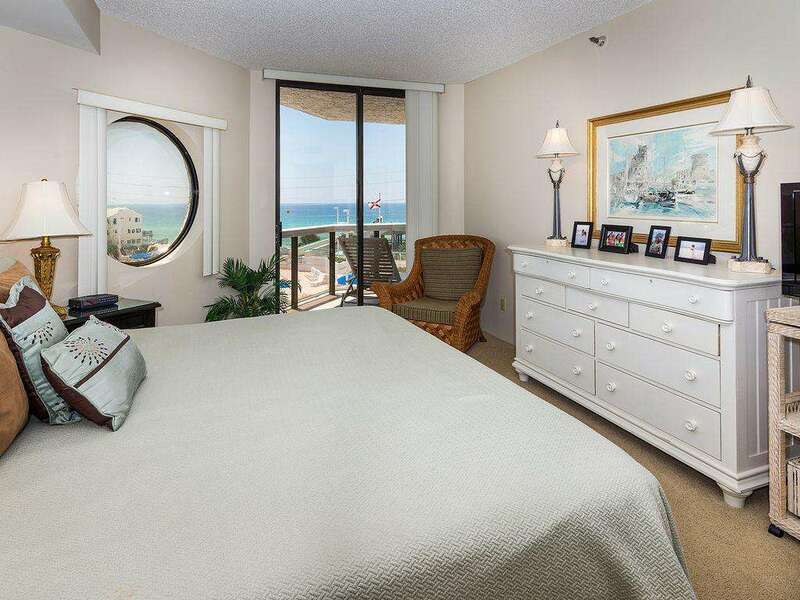 The master bedroom features a king sized bed, en suite bathroom, and a fabulous view of the water! 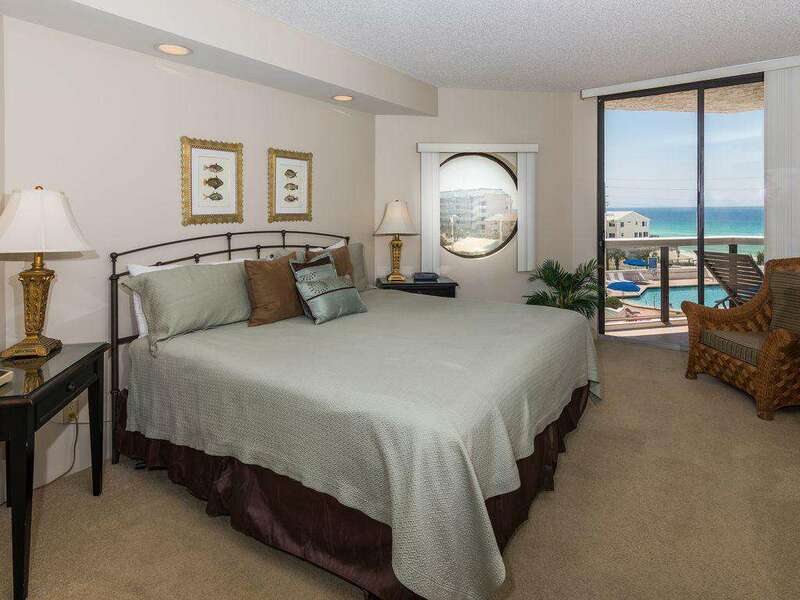 Walk right out onto the balcony from the master bedroom. 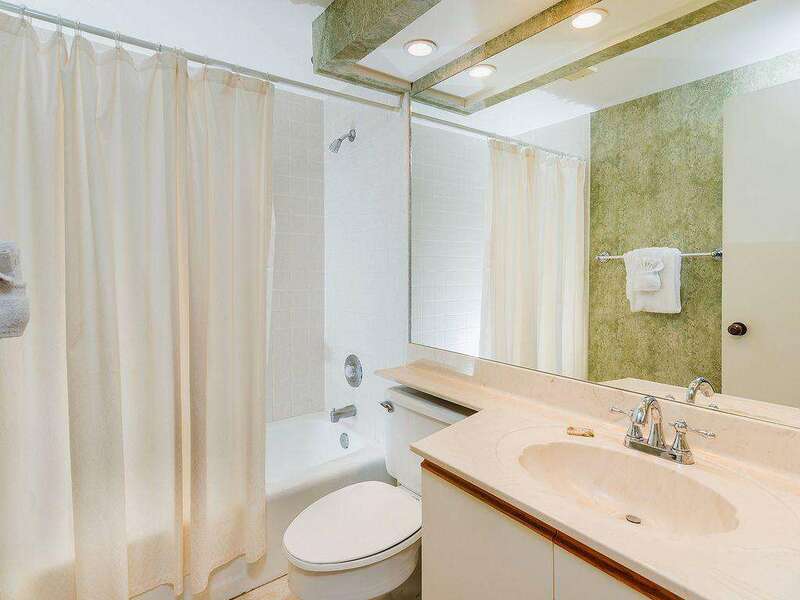 The master bathroom is spacious and bright. 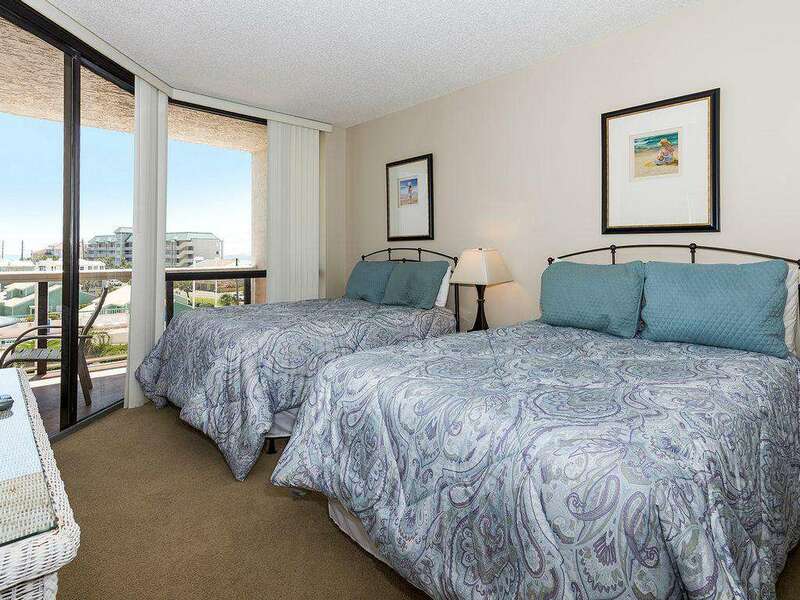 The second bedroom features 2 queen sized beds and access to the balcony. 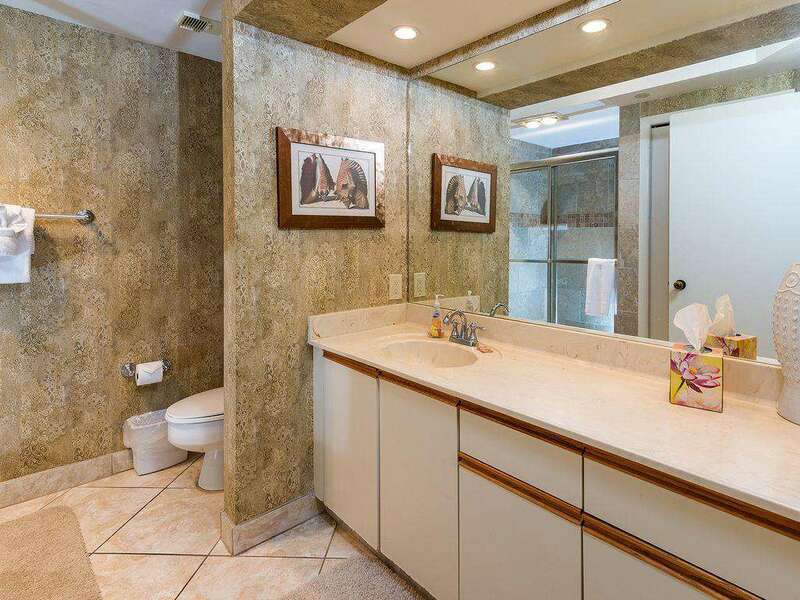 The second bathroom. 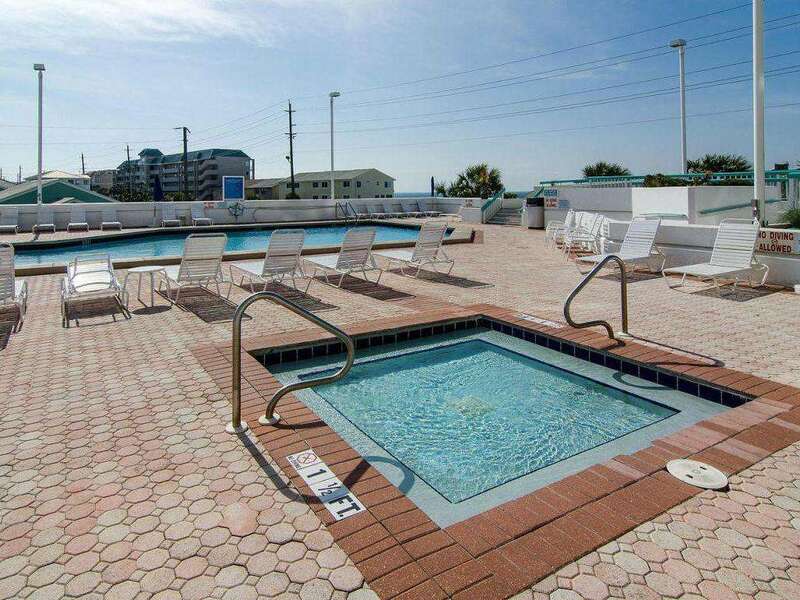 The pool deck features a heated pool (seasonal), 2 hot tubs, kiddie pool, and a tiki bar. Each sunrise is unique. 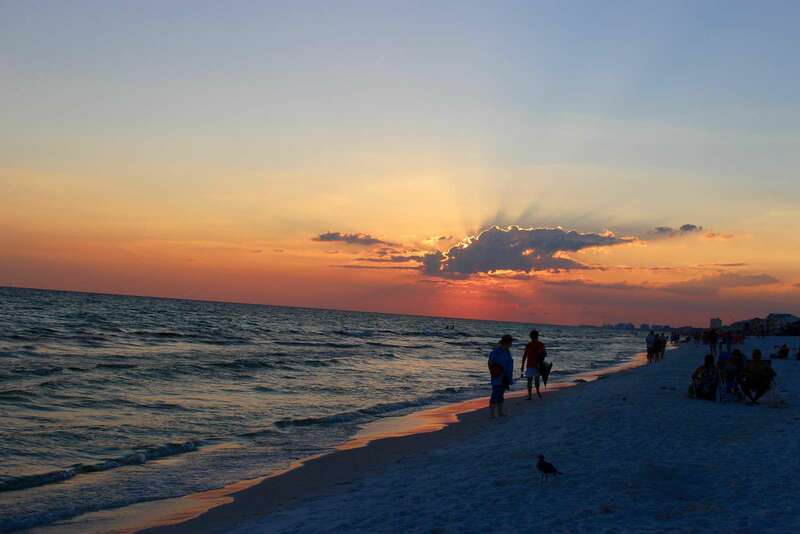 No two sunsets are the same. 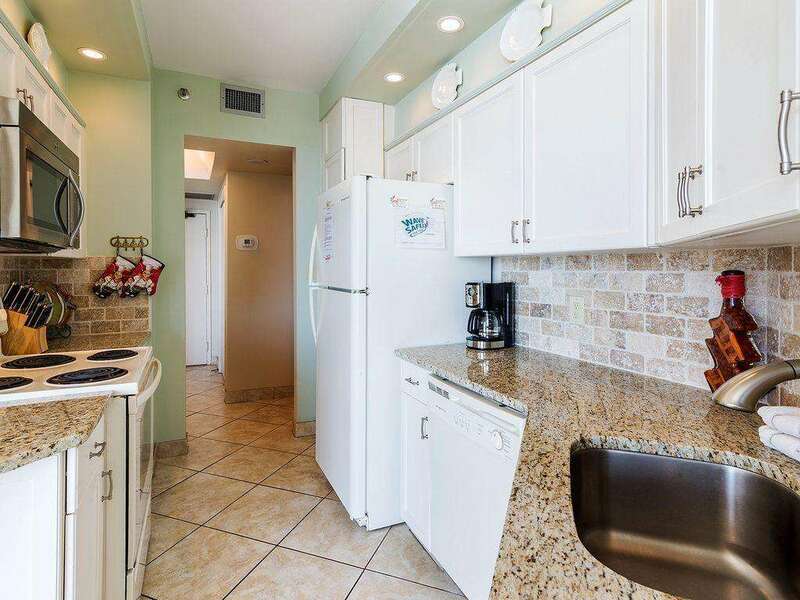 LUXURIOUS, PLATINUM-RATED, two bedroom, two bath condo, DESIGNER--DECORATED. Our UNIQUE, ANGLED, FLOOR Plan is 'NOT' your typical shot-gun style floor plan. 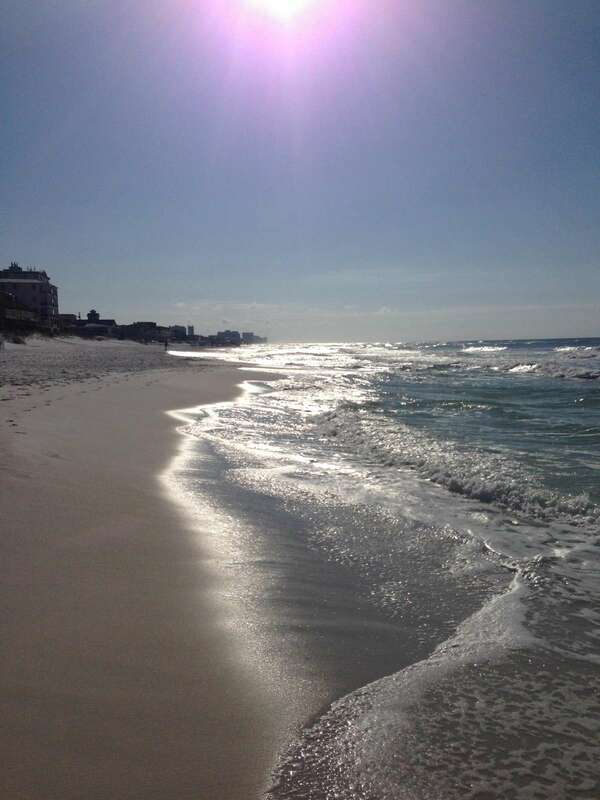 All rooms open to a huge 28-foot balcony with fantastic views over the Gulf. 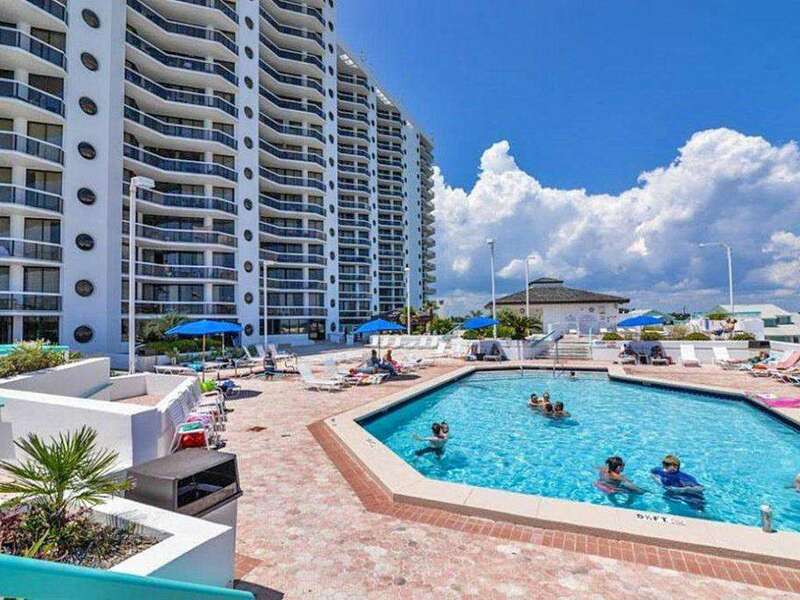 We have been coming to Destin for years, love the condo we stay in! If you are looking for a spacious, relaxing, with everything in it place, then that's the one! 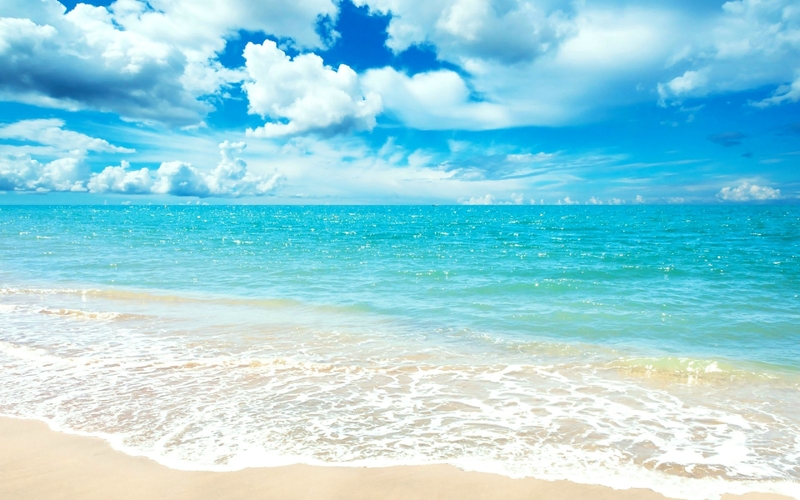 And everything is so close to resort. 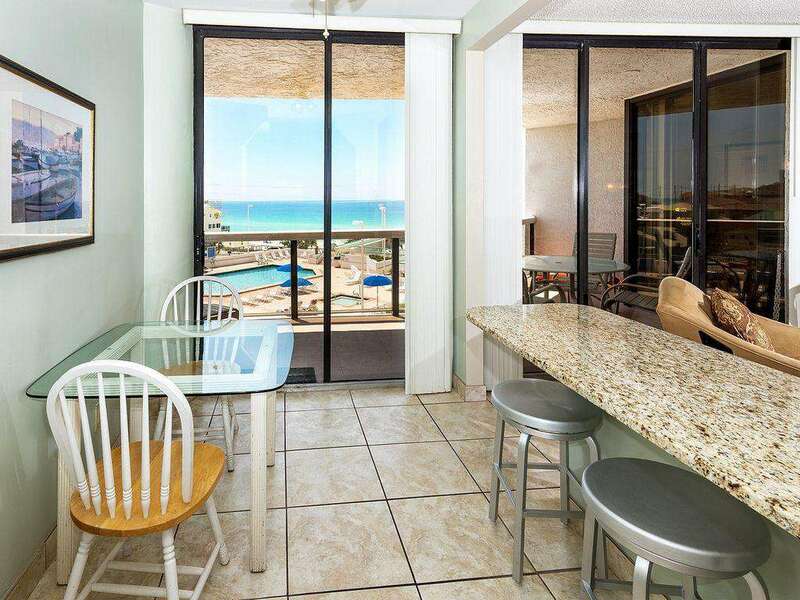 But you can just stay in and soak up the views of emerald waters from your huge balcony! The room was nice and clean and Cindy took care of everything we needed. I couldn't have asked for more. Great person to work with!